It seems that we can finally say it: There is a crisis at the southern border. It may not be the exact President Trump who has been formally declared but there is a crisis. This must be said because a significant number of journalists and news commentators have allowed their views to be completely shaped by their opposition to Trump. They define truth as opposed to what Trump says. And then it became an article of dogma in some circles to deny that there was a crisis at the border. But things look like things have changed. 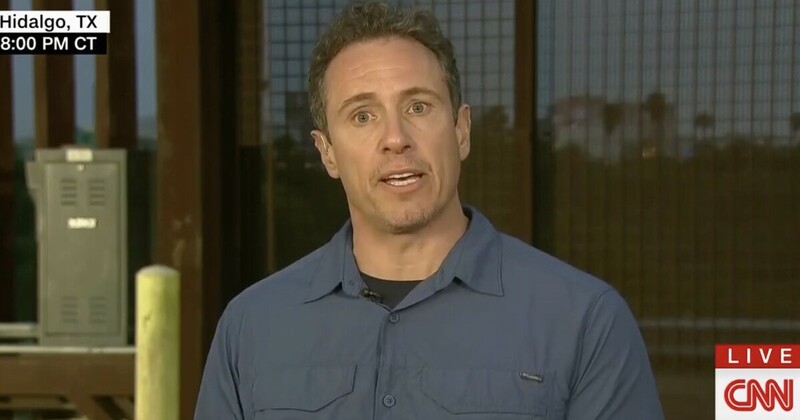 CNN has done a commendable job this week exploring the dangers and difficulties of both immigrants and frontier agents, and much of this has been laid out in a long Monday night segment with anchor Chris Cuomo and US Border Patrol's chief executive Pat Raul Ortiz. "You have a humanitarian crisis that has created a border crisis crisis for us that we have done for a very long time, and this is all driven by a political crisis," Ortiz said. He added: "And until we resolve political crisis, we will continue to handle the other two." As Ortiz spoke, news cries flashed across the screen, including those who read "LIVE FROM TABLES THAT HUMANITARIAN KRISIS WORSENS" and "BORDER PATROL SHOW REALITIES OF CRISIS ON SWEETING TABLES." It is impossible to see the scratch segment and do not think back to all journalists and pundits who have said there is no real crisis at the border, including when Acosta claimed in a self-guess that everything is good and quiet along the southern border and that the White House's claims on the contrary is unjustified. "I found some steel plates on the border. But I can't see anything resembling a national emergency," CNN's Jim Acosta tweeted in January ", at least not in McAllen, TX, area of ​​the border where Trump will be today. " He apparently added without even realizing that he made an argument in favor of frontier boundaries," we do not see any imminent danger. There are no immigrants trying to hurry against this fence. on the national emergency the president has spoken of. " It's also hard to see what CNN broadcasts from the border without thinking back to when Mother Jones & # 39; Kevin Drum claimed in January: "This is not a crisis. not something close to a crisis. "Or when the Forbes contributor Stuart Anderson wrote:" A wall does not solve the problem at the border, and it is a problem, not a crisis. "Or when the Washington Post columnist and forever war enthusiast Max Boot claimed, "There is no crisis at our southern border. … It's a myth that Donald Trump puts out there." Or when the post tried to get it both ways in January when it published an article titled "There is no new crisis at the border "which actually states that there is a crisis, but that Trump is wrong anyway. It is one thing to try to look at the White House on the issue of immigration. It is one thing to say that the administration's border security requirement is overloaded. It's another thing that completely excludes the actual humanitarian crises at the border, so you can shout "neener-neener!" On the president.